But have you ever taken a tally of how many times we witness tea being served versus coffee? Or of the therapeutic uses of either? Grab a cup (or a cuppa) and pull up a chair - we're about to have a coffee klatch on Trifles. Or as one entertainer might put it: Sherlockians in Cars Getting Coffee. Or is it tea? 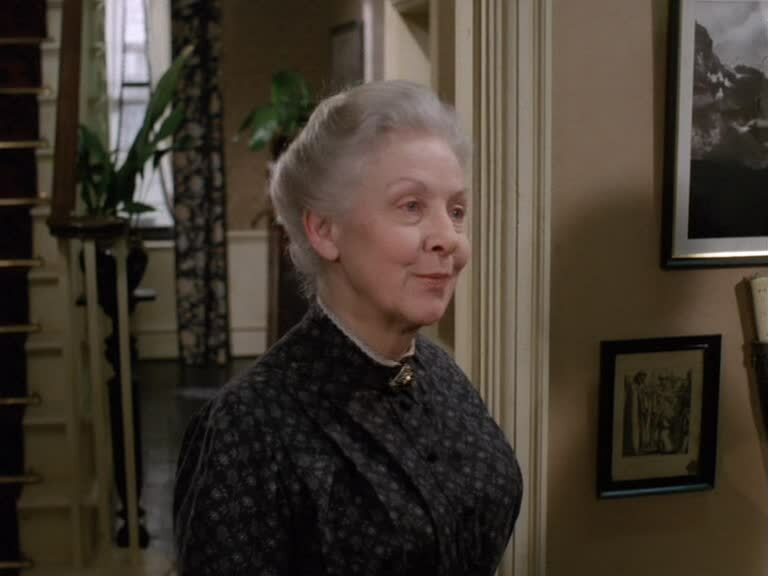 One of the most enduring figures of the Canon after Sherlock Holmes, Dr. Watson, Mycroft Holmes and Inspector Lestrade is Mrs. Hudson. We know a little about her, but how did she happen to become the landlady of 221B Baker Street? And what were the "princely" rent payments that Holmes made? As we make our way across the Sherlock Holmes stories, we do come across one or two other Hudsons as well. What is their relationship to the landlady? 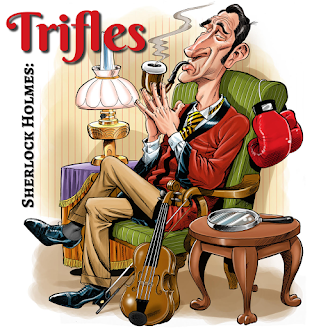 These questions await your attention in the latest episode of Trifles. How Much Do We Really Know About Mrs. Hudson? 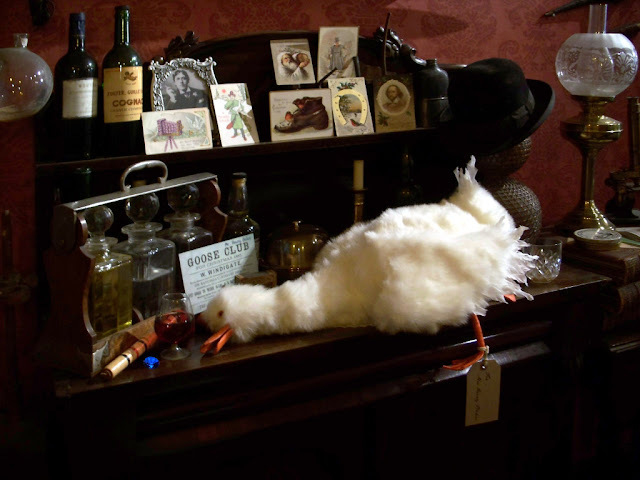 The sideboard makes a number of appearances in the Canon, and serves as a solemn but essential member of the Baker Street set as it features beef and fowl, drinks and related accouterments, and as a resting place for various objects. But just what is a sideboard and in which stories do we find it? In Episode 48 ("Gotcha!") 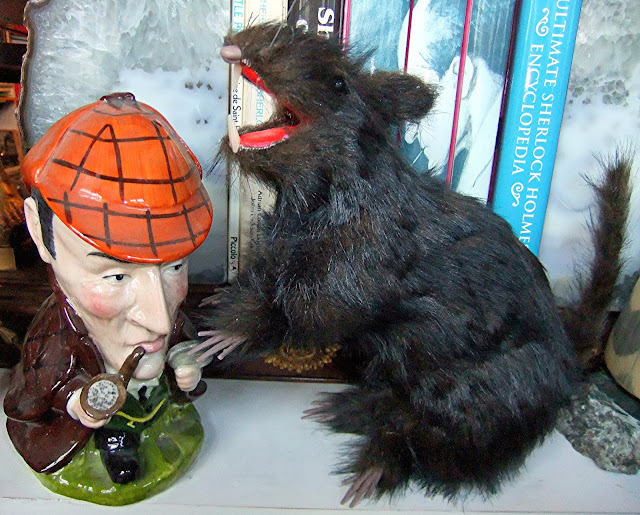 we discussed times when Sherlock Holmes caught his criminal red-handed, dead to rights. But what about the times that he caught criminals but let them go? 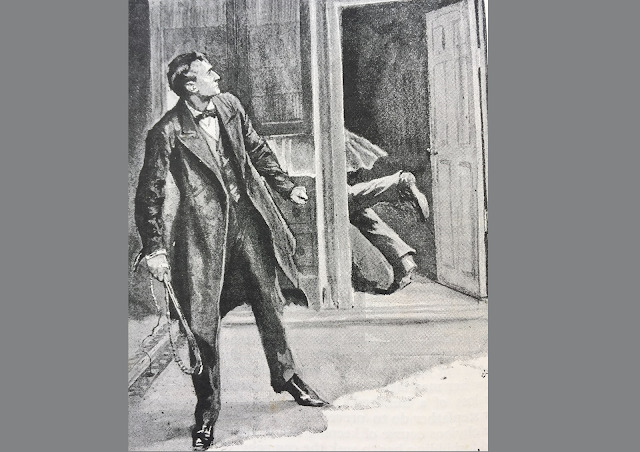 Was it solely his strong sense of wright and wrong that caused Holmes to allow them to go free? Or was he simply disdainful of the official police? And what was it that he was doing with regard to felonies - compounding, commuting, or condoning?